The turkey is in the oven, the table is set, the presents are wrapped, but you’ve just noticed water pooling in your basement around the sump pump. Plumbing problems are annoying to take care of on a regular day, but add the stress of the holidays, and you have a real headache. 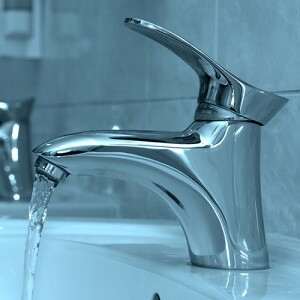 Before the holidays, check your faucets to make sure water is flowing freely. Over time, the tiny components, washers and O-rings in the faucet can wear out or corrode, causing leaks or blockages in the unit. If you inspect the faucet before the holidays, you won’t be plagued with a maddening dripping sound throughout your holiday dinner. As the mercury drops in December, it’s time to take the initiative to protect your plumbing appliances from the cold. Even the tiniest crack in the wall next to the water heater can cause a serious problem. Make sure your water heater is not exposed to any cold air. Fill cracks and install water heater insulation if needed. This will ensure that your water heater works efficiently all season long. Letting your home get cold in the winter causes more than just discomfort. If your home is colder than 55 degrees, you run the risk of pipes freezing and then bursting. Burst pipes during the winter are one of the most common and disastrous plumbing issues. Within seconds the burst pipe could cause severe water damage that no homeowner wants. Part of your fall plumbing maintenance should have included removing any outdoor hoses and storing them properly for the winter. In addition to that, the shut-off valves on these outdoor faucets should also be closed to prevent dripping, freezing, and you guessed it, bursting. Closing the shut-off valve is a quick and easy process that could potentially save you hundreds of dollars this holiday season. 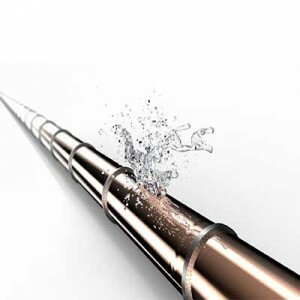 Nothing is more frustrating than experiencing a burst pipe emergency during the holidays. When you have family and loved ones over, the very last thing you want is to be running around trying to reduce the damage as water starts rushing out of a burst pipe. The best way to prevent these kinds of emergencies is by insulating your pipes. Whether you use a foam insulation or simple sleeves that slip over the pipes, make sure any pipes that could be exposed to even the tiniest bit of cold air are insulated. Increased precipitation in the winter means more stress on your sump pump. Before the holidays, make sure your sump pump is up for the task by testing it. The easiest way to test your sump pump is by pouring a bucket of water into the tank. If the pump is triggered and fires up, your sump pump is working. If nothing happens when you pour the water in the tank, the pump may be seized. Call a professional right away for a quick repair before you start your holiday preparations. For more help with your plumbing this holiday season, call Heidler, Inc. For fast and efficient plumbing repair and installations in Annapolis, MD, call (410) 268-7191 today.